energy that still reverberates off the walls. Moments ago there was fervent activity here as the creative team pulled together to produce great fashion images. At his desk he scrutinizes the images from every shoot. Now is the quiet time. Editing, retouching, and printing and preparing images for his clients. He�s very happy in his work. He doesn�t notice the time. Based out of North West France Luc works as a freelance pro-photographer. 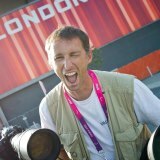 He loves shooting sport, in particular para-sport, fashion, portrait, commercial and documentary style photography. For him it is about capturing that one special moment. That moment which says more than words. It�s about form, movement, emotion, fantasy, fact�It needs little explanation. This voyage through the lens has had him deliver images for prestigious clients like Handisport France and L�Equipe Cycliste Cofidis. 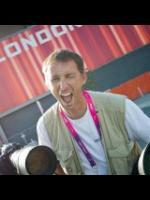 Most recently he was accredited to shoot at the 2012Paralympic Games with his paralympic images being exhibited at the Grosvenor House Hotel, London,at the National Sales Awards 2012. Armed with 20 years of experience working on creative projects, a client brief, a plan for the shoot, and an infectious energy Luc is here to deliver great images for you. Find out more by contacting Luc.